I do not have a green thumb at all. I can kill a cactus. I really love these air plants I bought from Amazon and I’m really trying to make them live. Displaying them has been a chore. 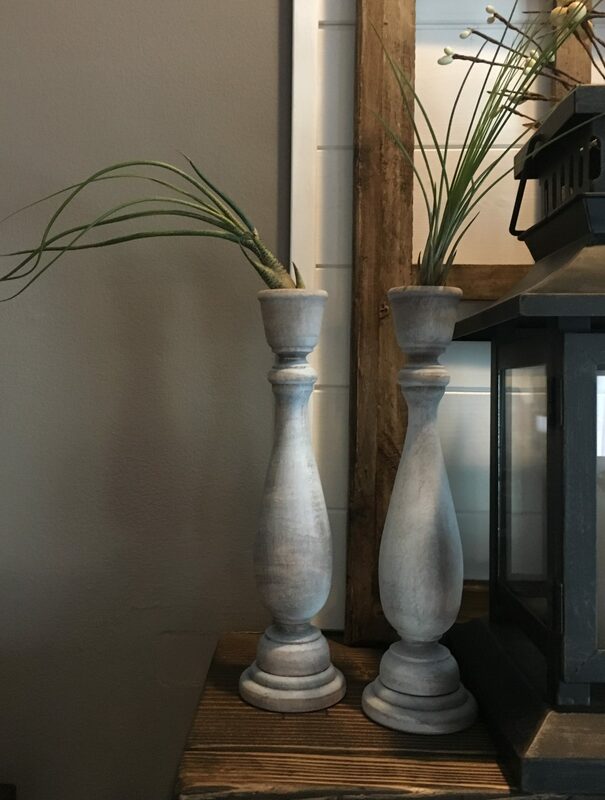 When I bought these unfinished, wood Candlesticks I had no intentions of using them as an air plant display. Then……Ta-da!! So stinking cute! I think so anyway. I also thought the candlesticks would look cute with burned down candles. Feel free to give me more ideas. I stained the candlesticks with Jacobean and spray painted them lightly with chalk paint.